League Two side Dagenham & Redbridge have signed midfielder Luke Guttridge on an 18-month contract. The 33-year-old former Cambridge United and Northampton player was a free agent after having his contract with Luton cancelled by mutual consent on Tuesday. Guttridge links up again with Daggers manager John Still, who signed him when he was in charge of the Hatters. "If there was one word to describe him in his time at Luton it would be 'magnificent'," said Still. "He will be influential in terms of quality and knowledge on the pitch. He is a great addition." 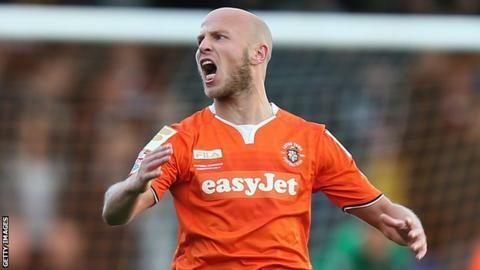 Guttridge, who scored two goals in 11 appearances for Luton this season, becomes Dagenham's fifth signing of the January transfer window.